A reported increase in Asian buying was the most notable feature of a somewhat underwhelming series of Impressionist & Modern art auctions in New York last week. Pablo Picasso’s ‘Le Sauvetage’ from 1932 – $28m (£17.4m) at Sotheby’s. Sotheby's evening sale on May 7 saw eight lots sell to Asia including a $17m (£10.6m) Henri Matisse oil painting and a $11.5m (7.14m) Alberto Giacometti bronze. The value of their purchases represented just under 30% of the auction's $190m (£118m) hammer total - an amount that fell short of the $218m-318m presale estimate. On the night, 50 of the 71 lots got away (70%). 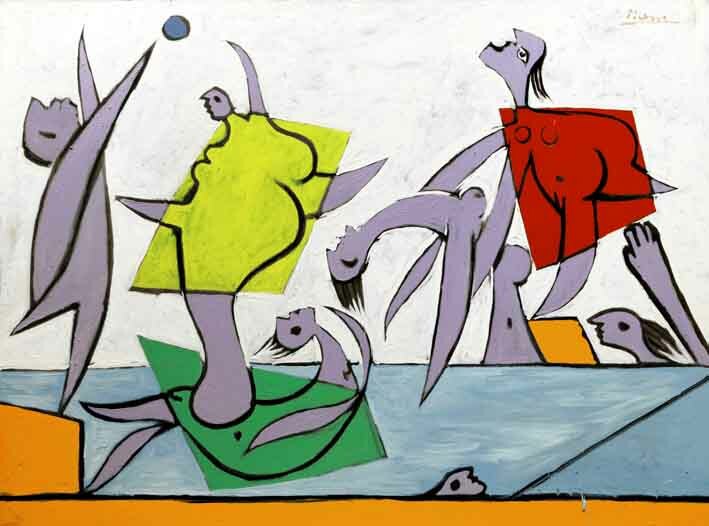 Sotheby's top lot, however, Pablo Picasso's Le Sauvetage from 1932 sold at $28m (£17.4m) to an American private buyer. The estimate was $14-18m. Meanwhile, Christie's evening sale the day before raised a hammer total of $249m (£155m), a figure that came in towards the lower end of the $244m-359m presale prediction. Here the top lot sold to an Asian private buyer - Claude Monet's Nymphéas, which took $24m (£14.9m) against a $25m-35m estimate.